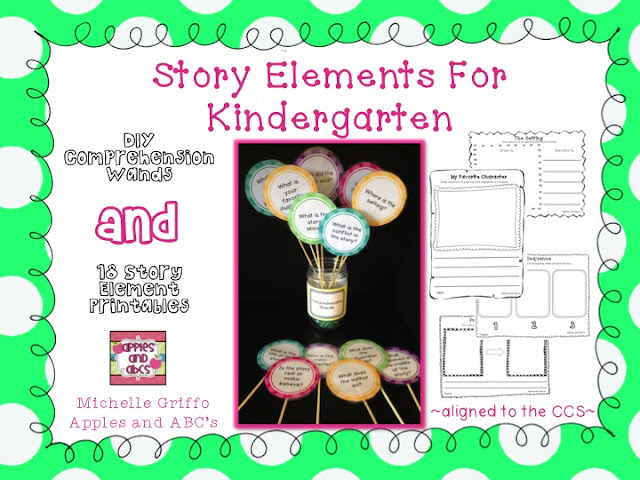 Story Elements for Kindergarten and Comprehension Wands! 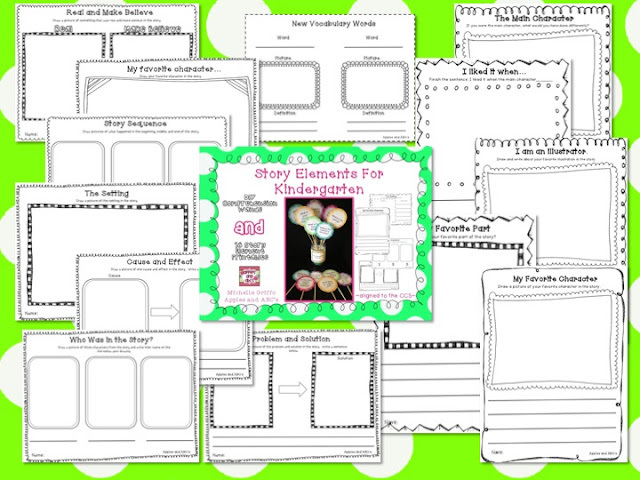 This pack includes printables that focus on the story elements and comprehension questions. The students can complete the comprehension worksheets during and after a story is read. There are 18 printables total, and 5 of them are comprehension questions for kindergarten but the response sheets are for drawing pictures only. These are great to use in the beginning of kindergarten before the students are writing sentences. -What was your favorite part of the story? -Draw a picture of something real and make believe in the story? -Draw and write about your favorite illustration. The pack is aligned to the CCS! My favorite part of this story element pack are the Comprehension Wands. 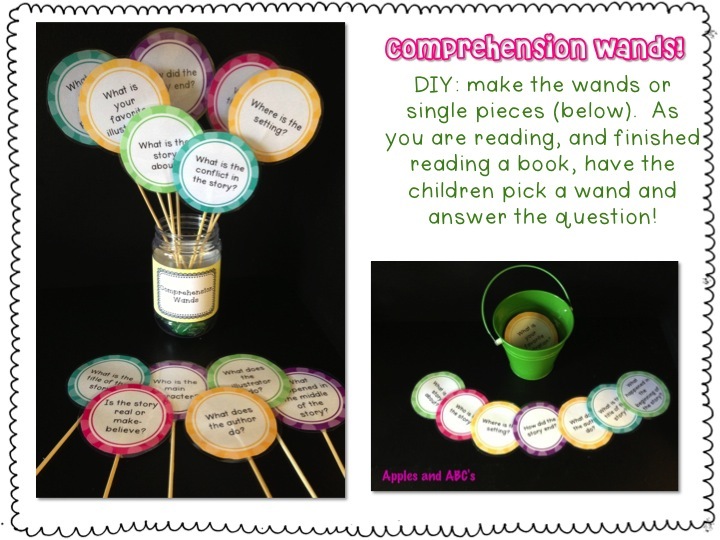 This is a DIY project where you will print, cut, and laminate the circles and glue them onto popsicle sticks to make little wands. The students pick a wand(s) at the end of the story and answer questions about the book. I added some pages that the students can respond with pictures if it is early in the Kindergarten year and they aren't writing sentences yet. If you don't teach Kindergarten, this is a good option for differentiation. I read a book to my students and printed out 5 different options in the pack. They could choose which sheet they wanted to complete during literacy center time. The kids really loved having an option to choose from! 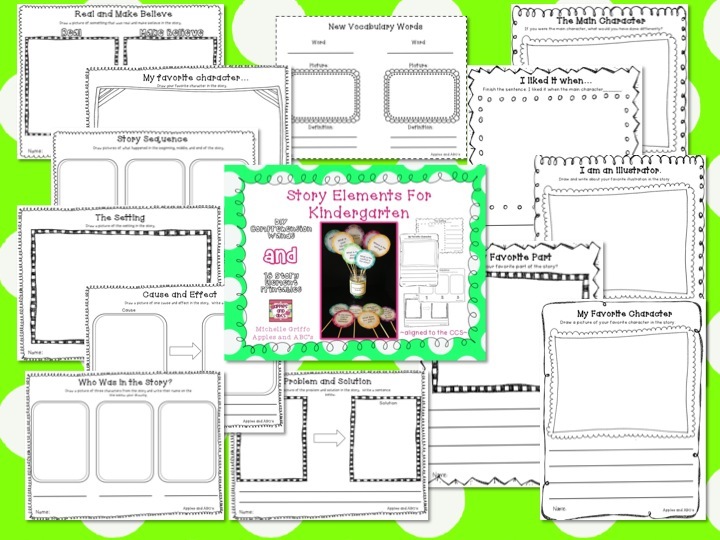 will receive a copy of the Story Elements for Kindergarten for FREE!!! My kids would love this, especially the wands. I just pinned the wands. This looks great! I know I'm too late, but I'm pinning it anyway! Great idea! The wands look so pretty and I know the kiddos will love to participate with them! Too late to be in the top 3 but pinned it anyway! I love the response sheets! Because these are awesome!!! Thanks!! !